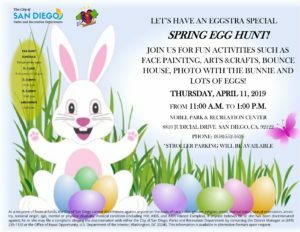 Nobel’s Spring Egg Hunt may be history (it was Thursday, April 11), but there are still two more Egg Hunts to choose from in University City. Let’s have an ‘eggstra’ special Spring Egg Hunt this year. 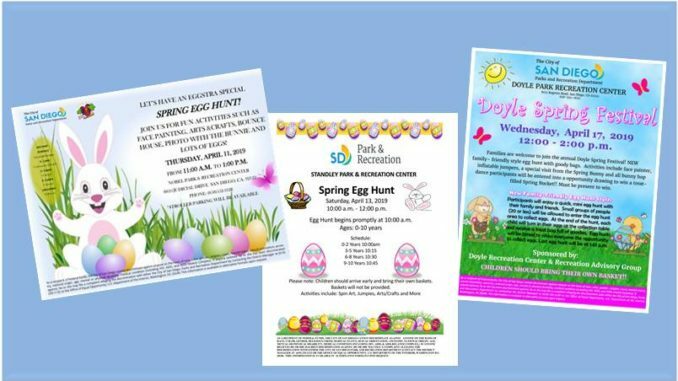 Activities vary by park but may include spin art, jumpies (bounce house), face painting, arts & crafts and more. 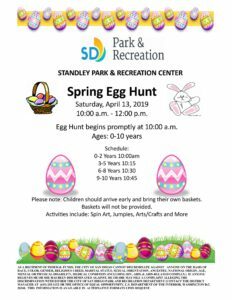 Check with Recreation Center for age restrictions, schedule and other details. 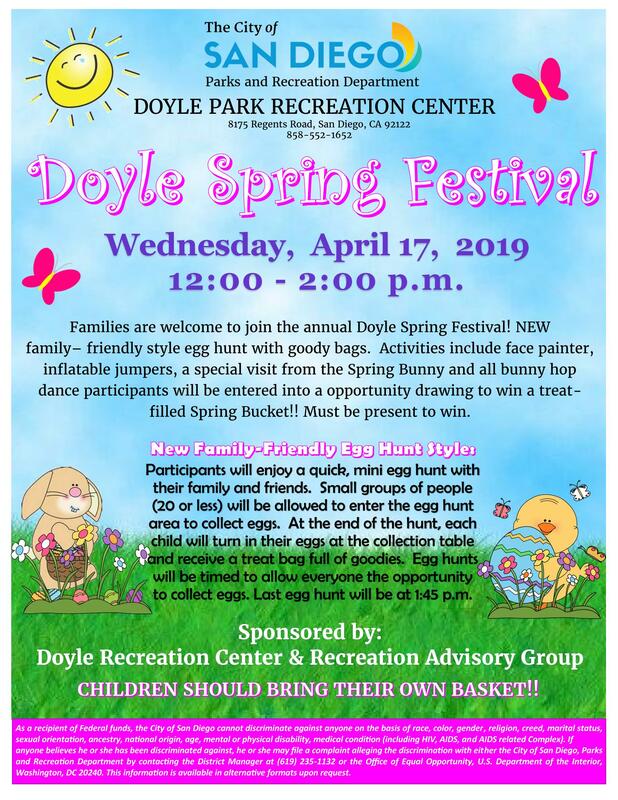 Bring your own basket. 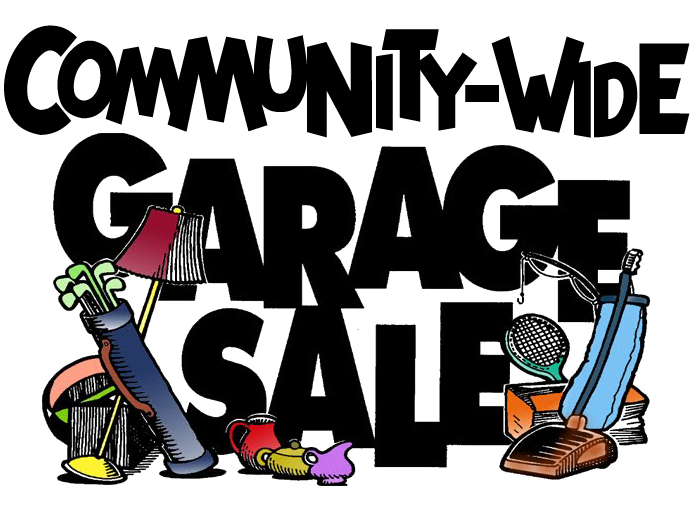 Saturday, April 13, from 10 AM – 12 Noon, Standley Park Recreation Center, 3585 Governor Drive, San Diego, CA 92122. Phone 858-552-1652. 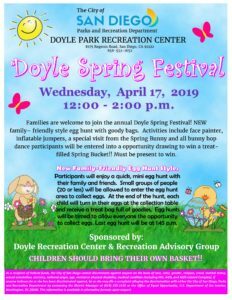 Wednesday, April 17, from 12 – 2:00 PM, Doyle Park Recreation Center, 8175 Regents Road, San Diego, CA 92122. Phone 858-552-1612. For more information, view and download attached flyers; or visit www.sandiego.gov and search for recreation center by name.